(CNN) – A new super PAC, formed only a few months ago, brought out star power at a Washington D.C. fundraiser this week. Former Secretary of State Condoleezza Rice spoke to a group that included current Republican congresswomen and many running for office this November. The group, called ShePAC, works to grow the number of "principled conservative women" in federal elected office. Rice's appearance and speech to the female attendees highlighted the latest effort by all parties to push for more women candidates. 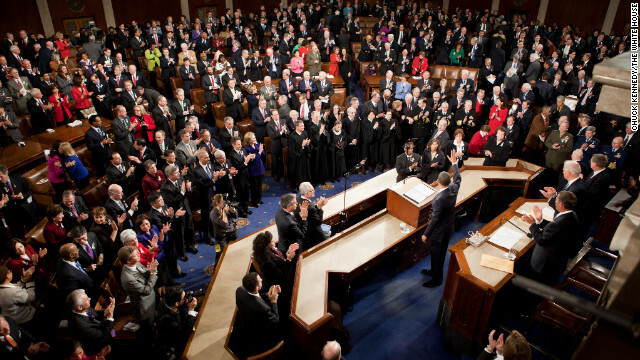 When the current Congress was gaveled into session, there were only 91 women among the 535 members. That's 17 percent. Why are there so few women serving on Capitol Hill? Jennifer Lawless directs the Women in Politics Institute at American University. She says it's not that they're not electable. Lawless says the problem is a dearth of female candidates. To really make a dent in the numbers of women in Congress, Lawless says both parties will have to significantly rev up their recruiting game with women.